North Yorkshire Police are appealing for witnesses and information. 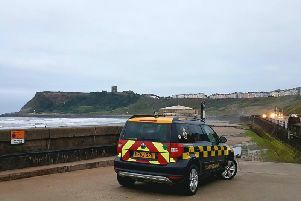 A woman has been assaulted by a man outside Scarborough Sealife Centre. It happened on the path just outside the venue at around 3.30pm on Sunday 17 March when a male headbutted her. In particular, officers are appealing for information which may help identify the male offender. He is described as being a white male, aged between late thirties to late forties. He was wearing a green and cream baseball cap and had grey to fair hair. It is believed he was wearing a tracksuit top, gilet and beige-coloured casual trousers. Please quote the North Yorkshire Police reference number 12190048237.